I've bought these previously. They hold several CDs, are sturdy and stack well. 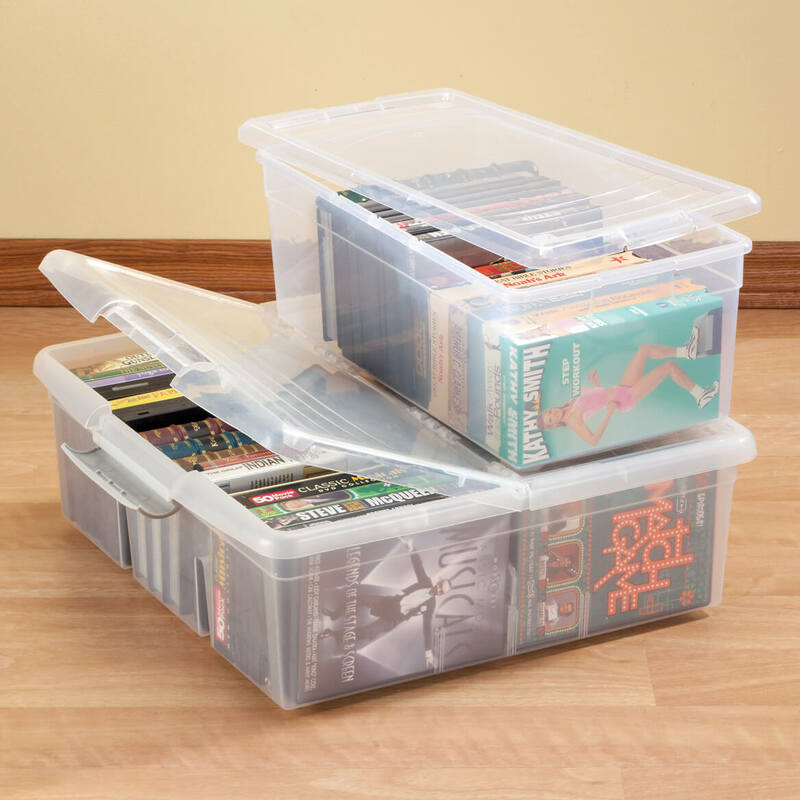 I have ordered the small and larger storage container and like how I was able to store my dvds. I bought one of these before and have been very pleased with this product. Need more containers for storage. I have the large and small to store DVDs and I want another one. 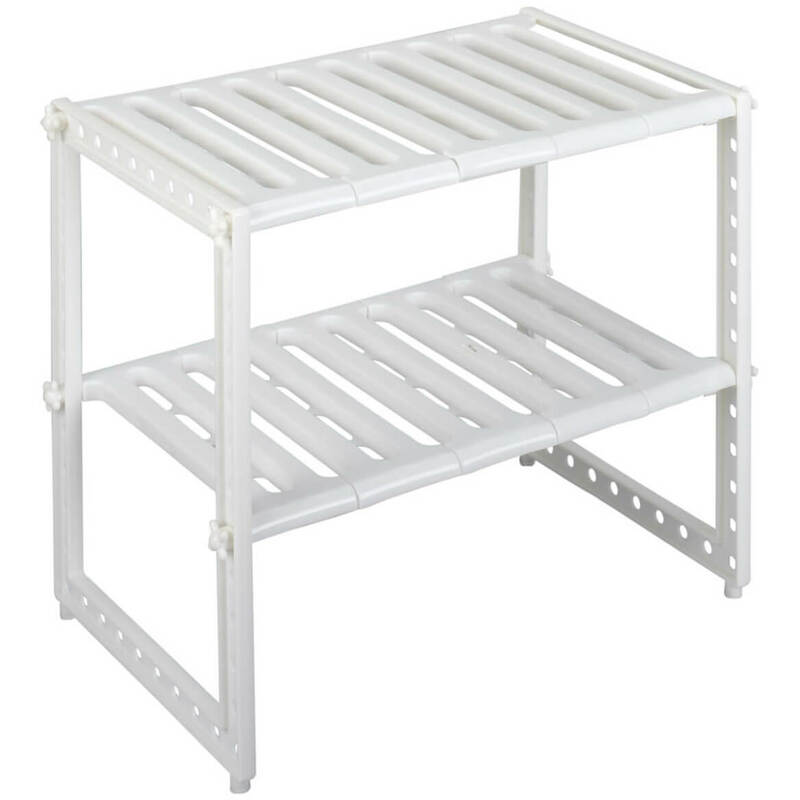 Looking for CD storage in a small space. This fits the bill perfectly. Organizing small items less clutter when put in one place. Use for cds love the boxes. It looks durable and practical. My friend bought these and it holds DVD's and CD's perfectly. To keep my CD's in order in my car. Great buy. We don't have cable, so we buy DVDs regularly. Currently they are in miscellaneous boxes stored under the tv console. These will make my living room look much neater. to see if it will work for our dvd collection. 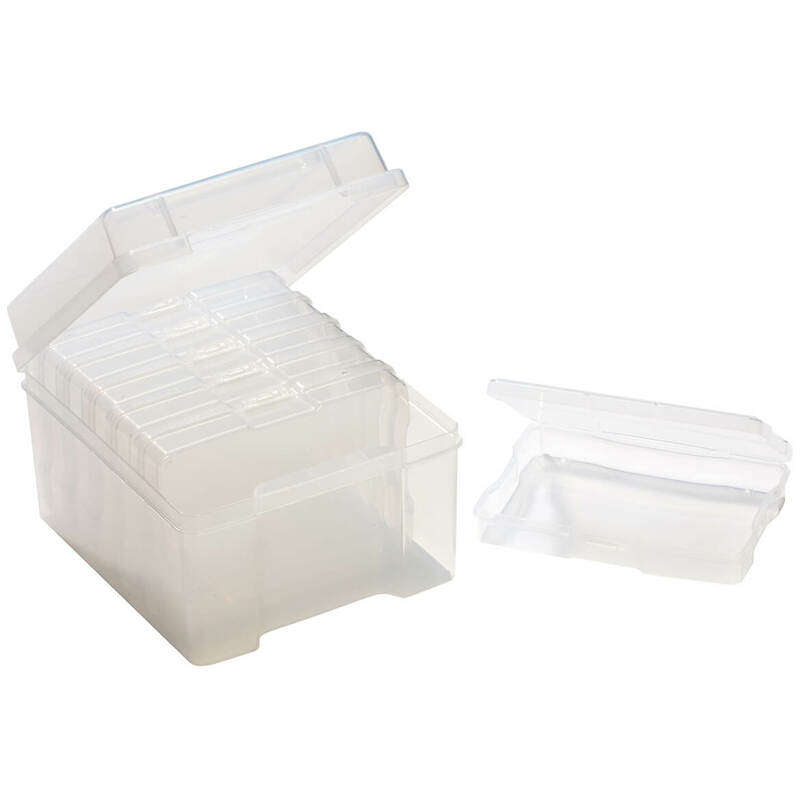 Ideal storage, clear box allows view of items. Looking forward to organizing various media items in the basement. Like the idea that they are somewhat see through, easy to access and appear to be protective against potential water seepage (should it happen to occur) that can sometimes happen in the basement if the water heater breaks or something overflows. desperate for storage that can go outdoors in the shed yet still small enough i can carry. Use this for storage of pictures. The individual boxes allows you to separate the pictures by year, event, etc. Works really well. I would recommend for any type of storage, especially if you need the individual boxes for storage of smaller items. I bought one before. It is a good product. Looks like good quality and fits my needs. Looking for a more compact and efficient storage of my VHS tapes, CD's and DVD's. We currently store movies under our child's bed in an open box. They are able to take the movies out and open them. Need a closing lid and these look like they will help. RECENTLY PURCHASED ONE ON A HUNCH...SEEMS LIKE IT MIGHT BE A WINNER. To store cds on a bookcase. The small one especially looks like a perfect size for my needs. style, easy access to what I need. These storage cases should fit into my holder. I have been looking for these kind of cases for a long time. Does the small box hold 57 CDs in the full jewel cases? Do the Disney VHS cases fit in this box? BEST ANSWER: Thank you for your question. The media storage boxes will store any standard size VHS box. We hope this information will be of help to you.